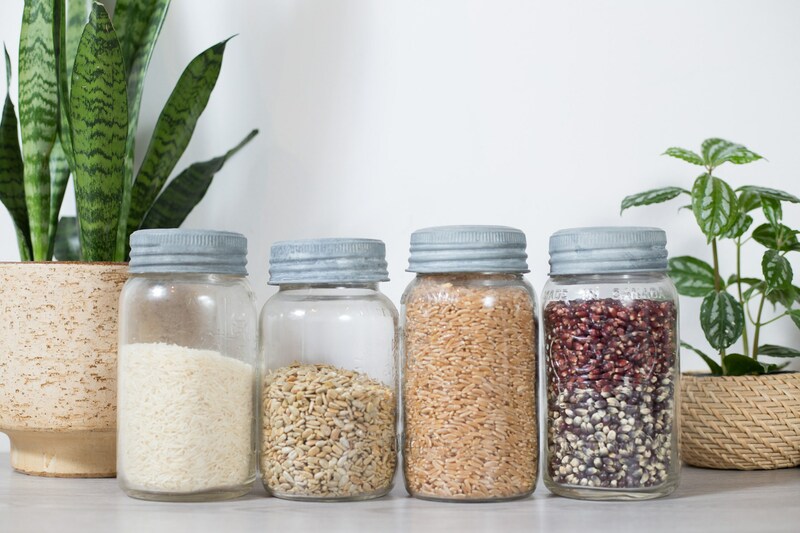 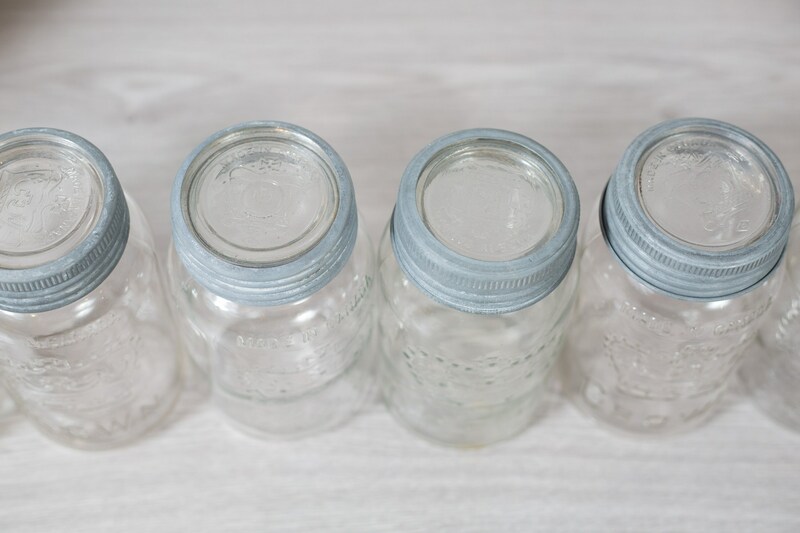 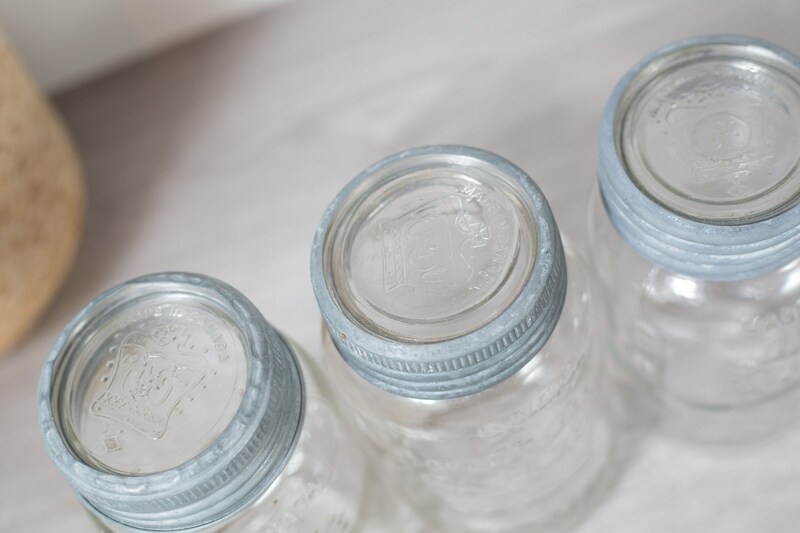 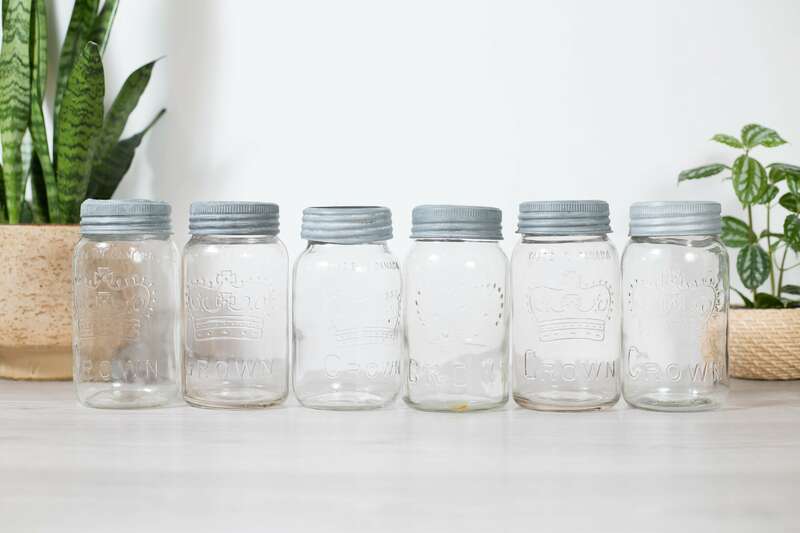 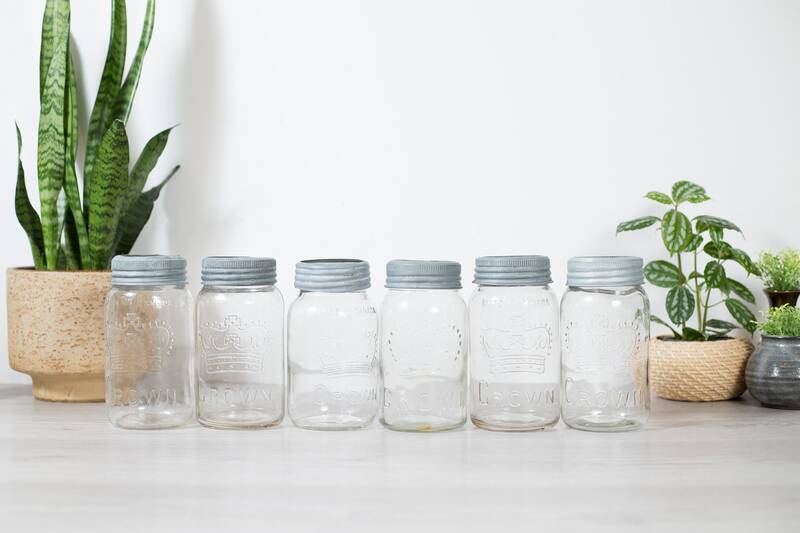 These 6 vintage canning jars are great for storing your baked goods or for decorating your next wedding or event - just add flowers or tea light candles! 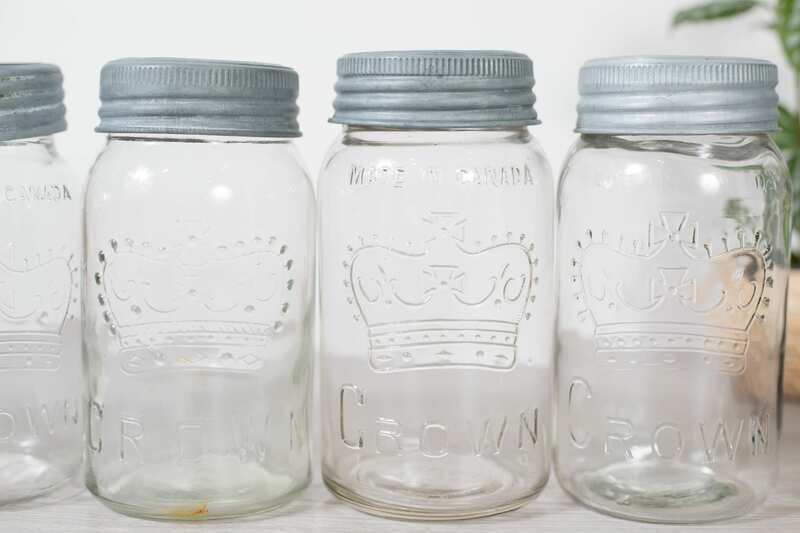 Front says, "Made in Canada" and "CROWN". 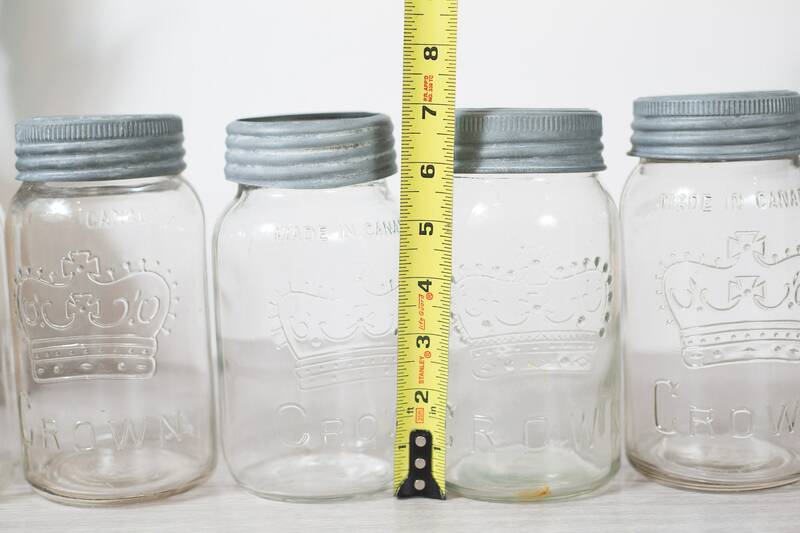 The price is for a set of 6. 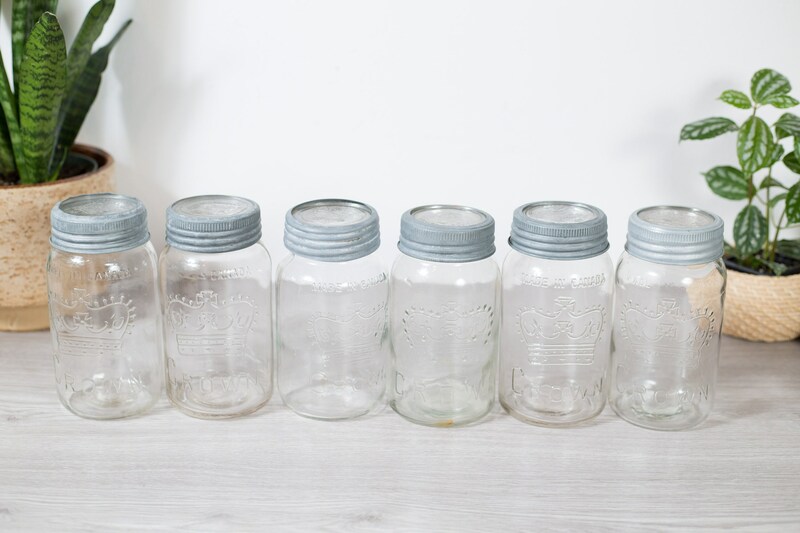 We have a few sets available. 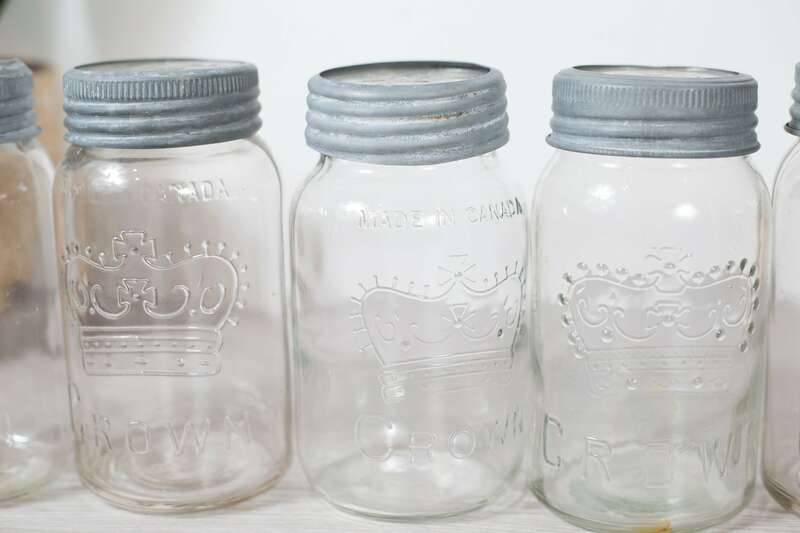 Jars are in great condition with no chips or cracks. 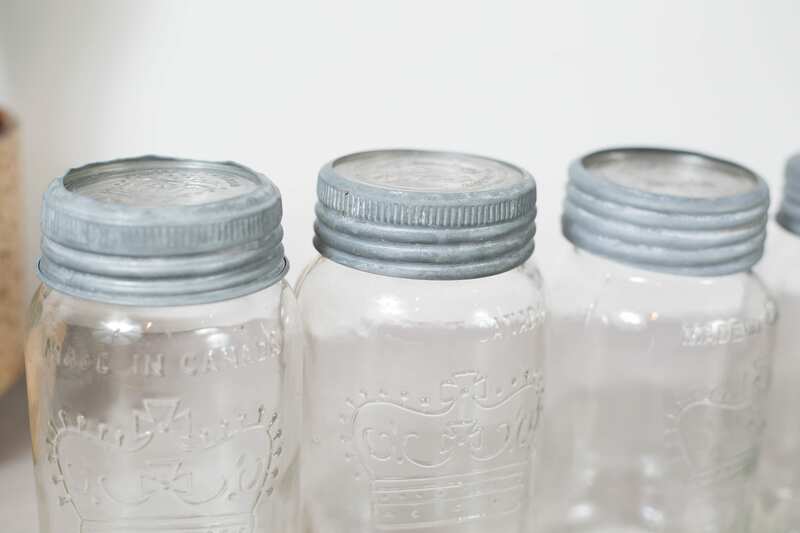 Zinc lids have been cleaned.